Chivas Regal, the world’s first luxury whisky, has named Josh Reynolds, from Hawksmoor Spitalfields, in London as the 2015 Chivas Master. Reynolds competed against 11 other international finalists in the two-day New York final which saw him impress an expert panel of judges across six exciting challenges. The first round saw him present his signature cocktail, The Black Dizzy Tea. Announced during the celebrations at the Chivas Regal Gala Dinner at Tales of the Cocktail, New Orleans, Reynolds has won the unique opportunity to work in three iconic bars, across different cities where he will be inspired to create his own three ‘classic’ signature drinks. Reynolds will be taken on an unforgettable experience where he will work alongside some of the world’s most influential bartenders. The 12 finalists were winners of national Chivas Masters heats, which took place around the world earlier this year. During the Chivas Masters final, the bartenders were asked to re-create one of the cocktails that earned them a place in the final and also compete in a series of challenges and workshops designed to test their creativity, style, understanding of flavours and mixology skills. The judging panel was comprised of leading experts in the drinks industry, including Ago Perrone, Director of Mixology at the David Collins-designed Connaught Bar in London; Ivy Mix co-owner of Leyenda; Micah Melton, The Aviary Director; and Masa Urushido, Bar Manager at Saxon + Parole and the 2014 Chivas Master. During the final, Urushido presented to finalists a bar tool innovation that was inspired by traditional Japanese methods of ice-carving, and was created as part of his prize for winning last year’s competition. The Ice Chisel set has been hand-forged by a third generation Japanese blacksmith and features an extended and widened curved blade to assist the precision and efficiency of the bartender when preparing the essential cocktail component of ice-spheres. 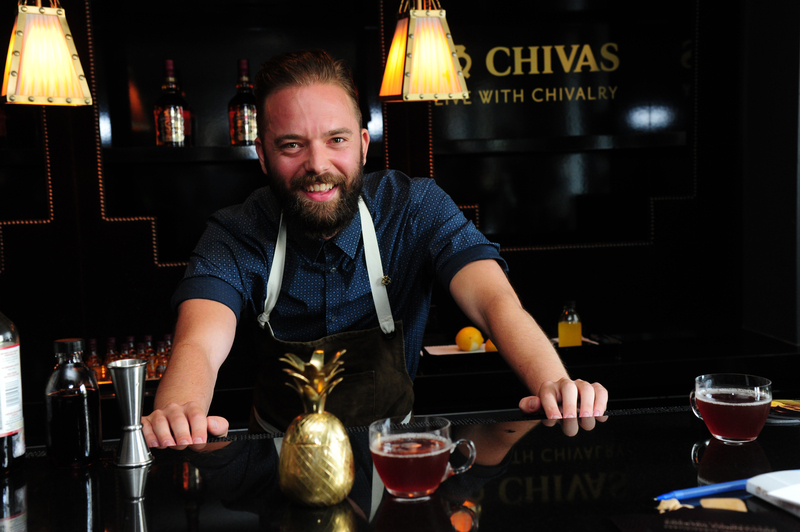 Max Warner, Global Brand Ambassador for Chivas Regal, commented: “Now in its second year, the Chivas Masters is continuing to serve a growing interest in classic-inspired modern cocktails around the world. At Chivas Regal we are dedicated to taking that interest even further by inspiring bartenders to explore the endless possibilities of Chivas within their drinks making.